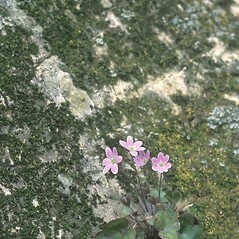 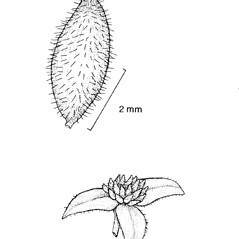 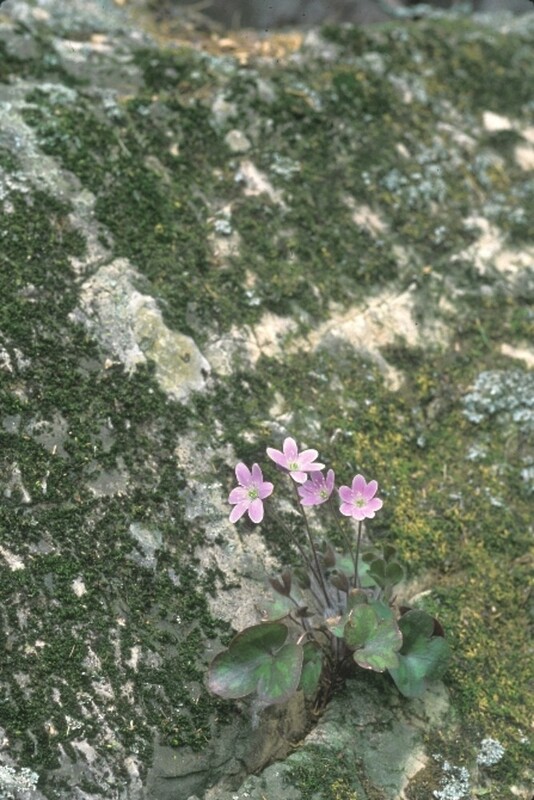 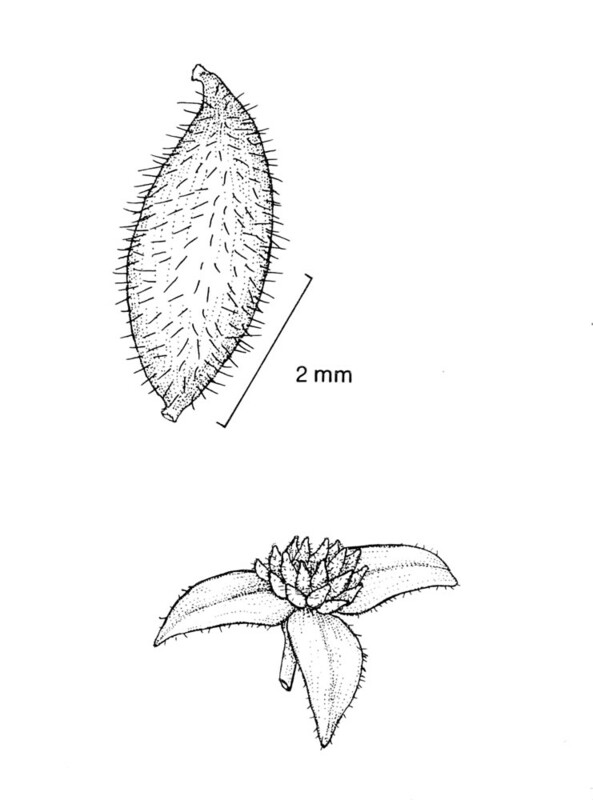 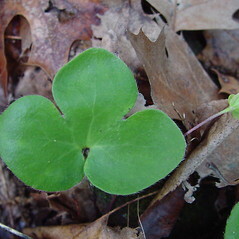 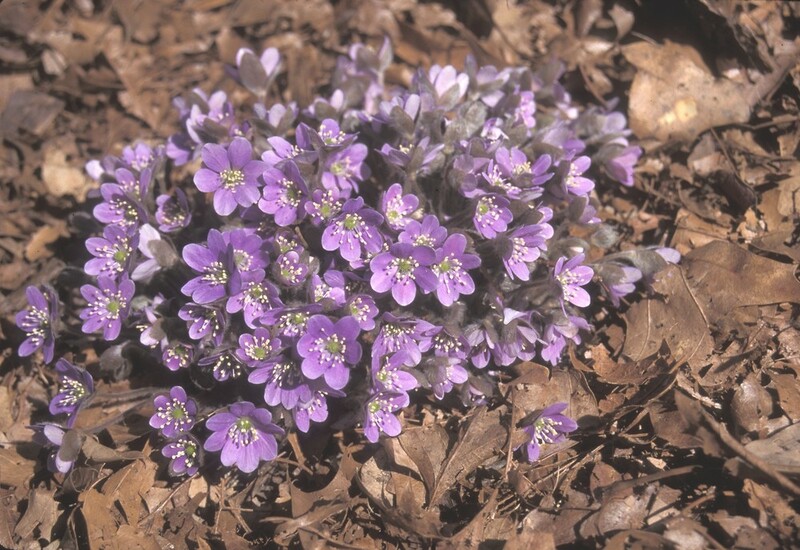 Blunt-lobed hepatica is usually found on drier sites with more acid soils than sharp-lobed hepatica, and it can generally be distinguished by the rounded tips on the lobes of its leaves. 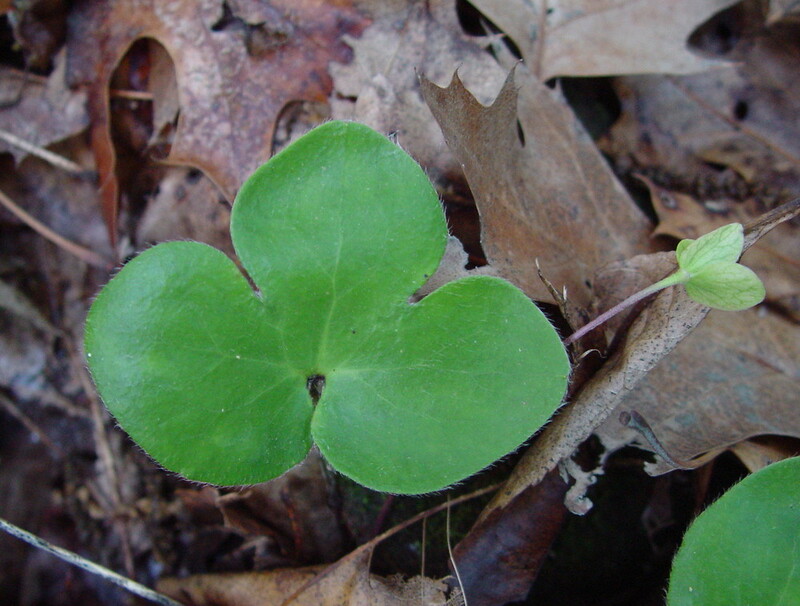 leaf blades with pointed lobes that are separated by sinuses that extend beyond the middle of the leaf blade (vs. A. americana, with leaf blades with round- to blunt-tipped lobes that are separated by sinuses that extend at most to the middle of the leaf blade). 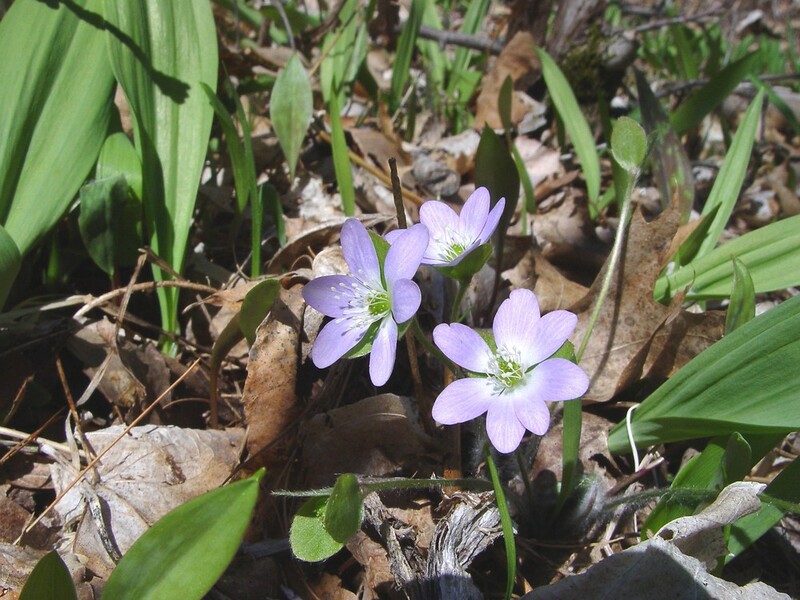 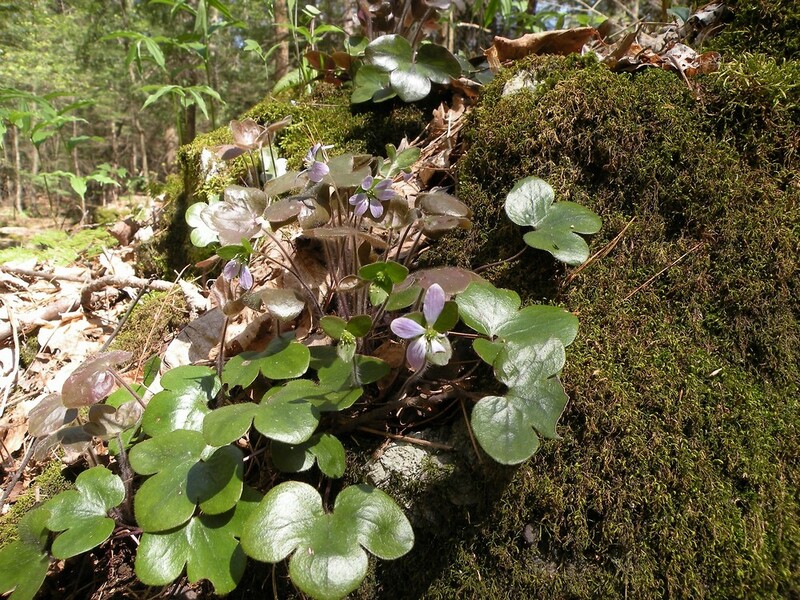 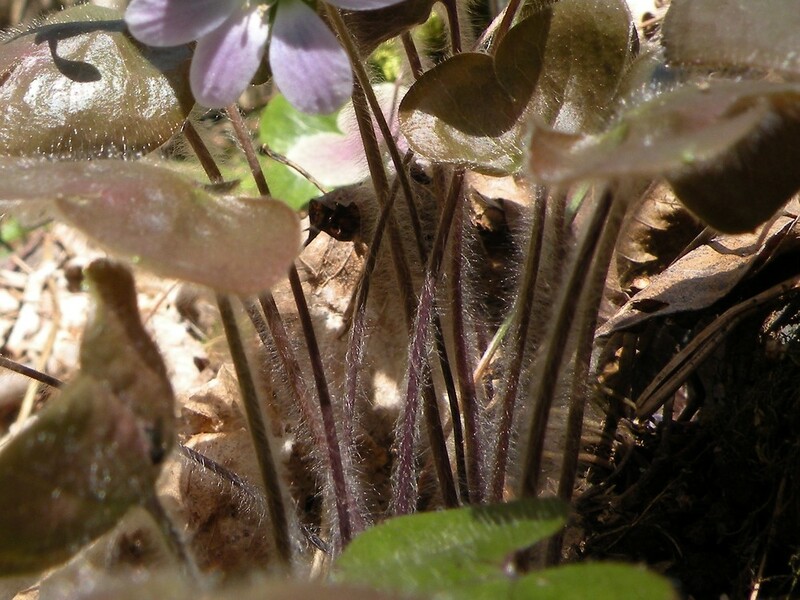 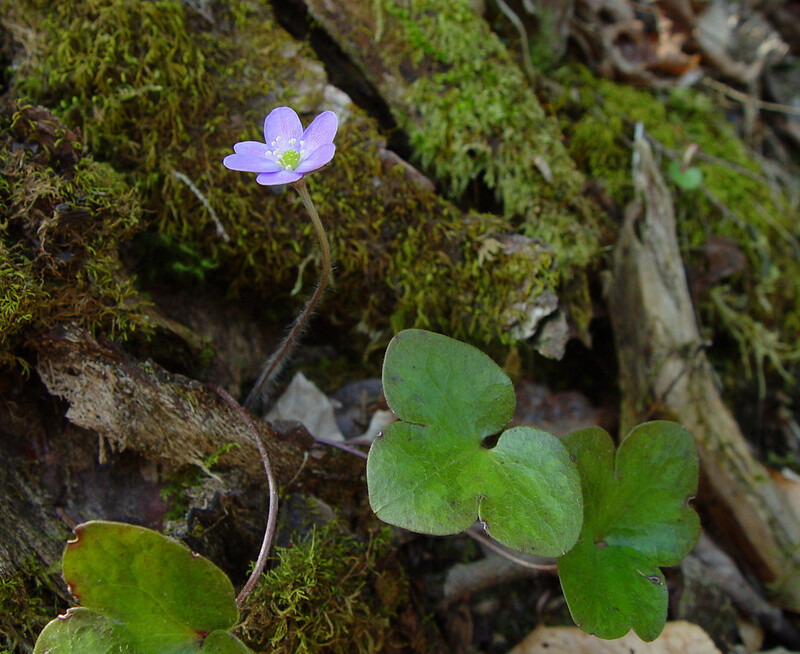 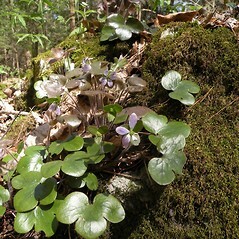 blunt-lobed hepatica. 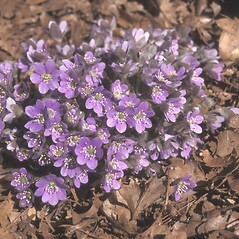 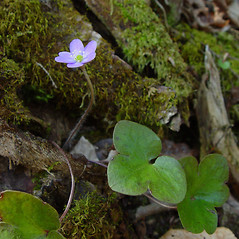 Hepatica americana DC. 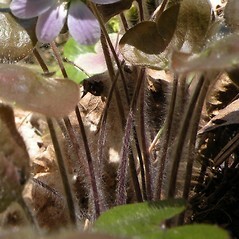 ; H. nobilis Schreber var. 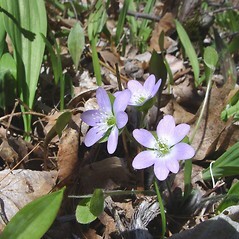 obtusa (Pursh) Steyermark • CT, MA, ME, NH, RI, VT. Rich, mesic, often rocky, deciduous forests.